Research England is interested in understanding how researchers think the research landscape (i.e. research outputs, impacts and the research environment) might change over the next 5 to 10 years, in order to inform their planning for future research assessment (post 2021). This survey is intended to collect information on these issues and is part of a wider study being conducted by RAND Europe on behalf of Research England. This survey is for researchers within English Higher Education Institutions (HEIs). If you have any questions about the survey please contact the RAND Europe project team at research_landscape_survey@rand.org. In the latest Athena SWAN newsletter you can read the news and events relating to gender equality, as well as why Athena SWAN is important to everyone at BU. There are lots of interesting articles in this edition, including information on the key institutional SWAN actions planned for 2019, an introduction to Professor Sarah Bate (the new chair of BU’s Athena SWAN Steering Group), and a link to BU’s career development fact sheet. In line with our organisational value of inclusivity, we particularly welcome female applicants and those from an ethnic minority, as they are often under-represented within BU management committees. Here is the latest BU SWAN newsletter containing a summary of the information, activities and progress related to gender equality and SWAN work at BU from July to October 2018 . This includes information about the Department of Media Production’s Bronze SWAN Award, the work being undertaken to develop a BU Menopause Policy, and information about our high-profile research-active women in STEMM (celebrated as part of Ada Lovelace Day). Expressions of interest are invited for the Chairs and Deputy Chairs of the Social Science and Humanities Ethics Panel and the Science, Technology and Health Ethics Panel. 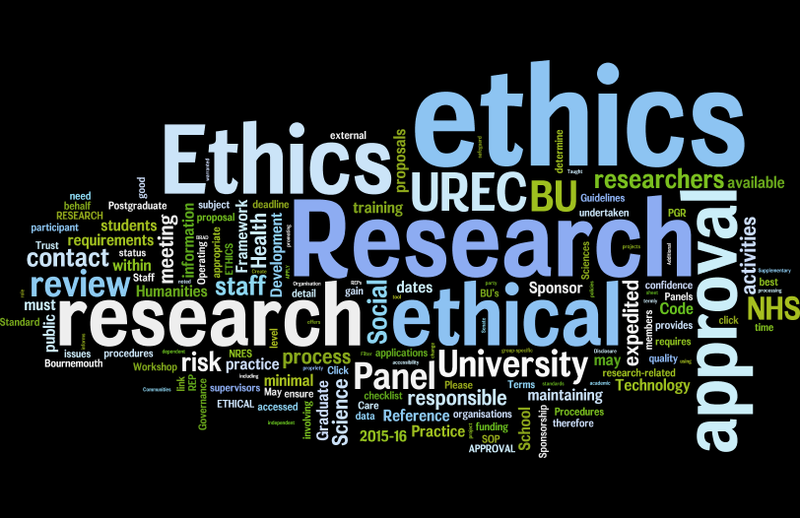 These prestigious and honorary roles work across the university to champion the highest ethical standards in research undertaken by staff and students. This document provides further information about the roles and the application process. Expressions of interest, consisting of a CV and brief statement outlining suitability for the chair/deputy chair role, should be submitted to RKEO (researchethics@bournemouth.ac.uk) by 5pm on Wednesday 14 November 2018 (please note the deadline has been extended). If you have any questions regarding the process, please email Sarah Bell/Suzy Wignall using the researchethics@bournemouth.ac.uk email address. In the latest Athena SWAN update you can read the news and events relating to gender equality, as well as why Athena SWAN is important to everyone at BU. The leading story is the Department of Media Production’s Bronze SWAN Award. Have you been involved with an event designed for the external community? The University is currently compiling the data for the annual Higher Education – Business & Community Interaction survey (HE-BCI) due to be submitted to HESA shortly. Data returned is used to calculate our HEIF grant. We are asked to submit details of social, cultural and community events designed for the external community (to include both free and chargeable events) which took place between 1 August 2017 and 31 July 2018. We cannot return events such as open days, Student Union activity, commercial conferences, etc. All events that we ran as part of the Festival of Learning, ESRC Festival of Social Science and Cafe Scientifique series are likely to be eligible for inclusion and we will collate this information on your behalf centrally. The data returned is used by Research England to allocate the HEIF funding so it is important that we return as accurate a picture as possible. Expressions of interest, consisting of a CV and brief statement outlining suitability for the chair/deputy chair role, should be submitted to RKEO (researchethics@bournemouth.ac.uk) by 5pm on Friday 9 November 2018. The deadline for expressions of interest for Leaders for UOAs 2 and 3 has been extended to Monday 16 April at 5pm. EoIs should be sent by email to Julie Northam (Head of RKEO). To apply for either role, please submit a short statement (suggested length 300 words) stating which role you are interested in and explaining your interest in the role and what you could bring to it. This should be sent by email to Julie Northam by 5pm on Monday 16 April 2018. Today (12 April) at 5pm is the deadline for EoIs for Leaders for UOAs 2 and 3. EoIs should be sent by email to Julie Northam (Head of RKEO). To apply for either role, please submit a short statement (suggested length 300 words) stating which role you are interested in and explaining your interest in the role and what you could bring to it. This should be sent by email to Julie Northam by 5pm on Thursday 12 April 2018. I am pleased to announce that Professor Malcolm MacDonald will be giving a talk to the MSc Marketing Management students on Monday 5 March 2018 in room EB306. PGR and academics are invited to attend. You can find below a summary of the presentation and also Malcolm’s short biography. According to McKinsey and my own research, everyone talks about value propositions, but only 5% of organisations have them and even those that do have them don’t always quantify them financially. A lot of what constitutes value from a supplier is about helping the customer to avoid disadvantage, but, much more importantly, those suppliers who can demonstrate that they will create advantage for them will be respected and there will be fewer conversations about price. Until 2003, Malcolm was Professor of Marketing and Deputy Director of Cranfield University School of Management, with special responsibility for E-Business. He is a graduate in English Language and Literature from Oxford University, in Business Studies from Bradford University Management Centre, and has a PhD from Cranfield University. He also has a Doctorate from Bradford University and from the Plekhanov University of Economics in Moscow. He has extensive industrial experience, including a number of years as Marketing and Sales Director of Canada Dry. Until the end of 2012, he spent seven years as Chairman of Brand Finance plc. He spends much of his time working with the operating boards of the world’s biggest multinational companies, such as IBM, Xerox, BP and the like, in most countries in the world, including Japan, USA, Europe, South America, ASEAN and Australasia. He has written forty six books, including the best seller “Marketing Plans; how to prepare them; how to use them”, which has sold over half a million copies worldwide. Hundreds of his papers have been published. Apart from market segmentation, his current interests centre around the measurement of the financial impact of marketing expenditure and global best practice key account management. 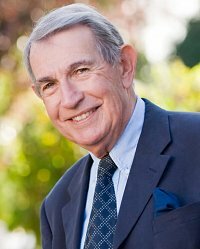 He is an Emeritus Professor at Cranfield and a Visiting Professor at Henley, Warwick, Aston and Bradford Business Schools. In 2006 he was listed in the UK’s Top Ten Business Consultants by the Times. Vitae will be visiting BU on Friday 27th April to lead an event on career planning for research staff. The event is open to everyone and is primarily aimed at research staff, managers of research staff and also those in, or aspiring to, research leadership positions. The event will start with lunch. Dr Kate Jones (Vitae) will then deliver a keynote presentation, followed by breakout sessions. One of the breakout sessions will be a transferable skills workshop led by Dr Emma Compton-Daw (University of Strathclyde and member of UKRSA), focusing on planning for an academic career. Dr Kate Jones will lead a breakout session on supporting career planning and providing advice on different career paths, aimed at research leaders/managers. Dr Michelle Heward (BU) will lead a session on how BU could provide better career planning advice to research staff on an on-going basis. Full details, including how to register, are available on the Staff Intranet here: https://staffintranet.bournemouth.ac.uk/workingatbu/staffdevelopmentandengagement/fusiondevelopment/fusionprogrammesandevents/rkedevelopmentframework/skillsdevelopment/careerplanningforresearchstaff/. I hope many of you will be able to participate in the event which has been organised in response to feedback from research staff (via focus groups and the CROS survey) that BU should provide better information on career planning for research staff. This event is part of a programme of work as part of BU’s implementation of the Concordat to Support the Career Development of Research Staff.